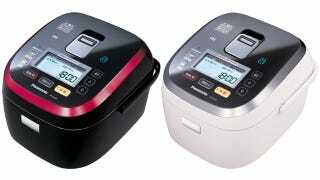 Does the World Really Need a Smartphone-Controlled Rice Cooker? The world may not, but according to Panasonic, Japan certainly does. The company's new SR-SX2 is about as fancy as rice cookers get, since it includes wireless RFID hardware letting it be programmed and configured using an Android smartphone. Set to hit the market in June for well over a grand, the rice cooker works with FeliCa-enabled smartphones, which is an RFID smart card system developed by Sony. Through a downloadable app users can specify the type of rice they're cooking, the length of timers, and other settings, all by touching their phone to a blue icon on the cooker's lid.